hd00:11Flying lizard or Flying dragon (Draco), Strange shape animal The beautiful color. Displaying bullying behavior Other males to protect the territory. And the courtship behavior of females. 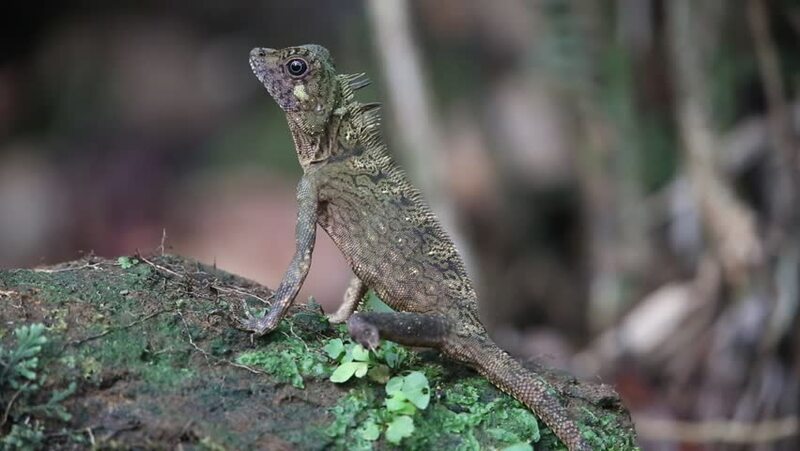 hd00:38Northern Forest Crested Crested Lizard (Calotes emma alticristatus) on the ground, Thailand.